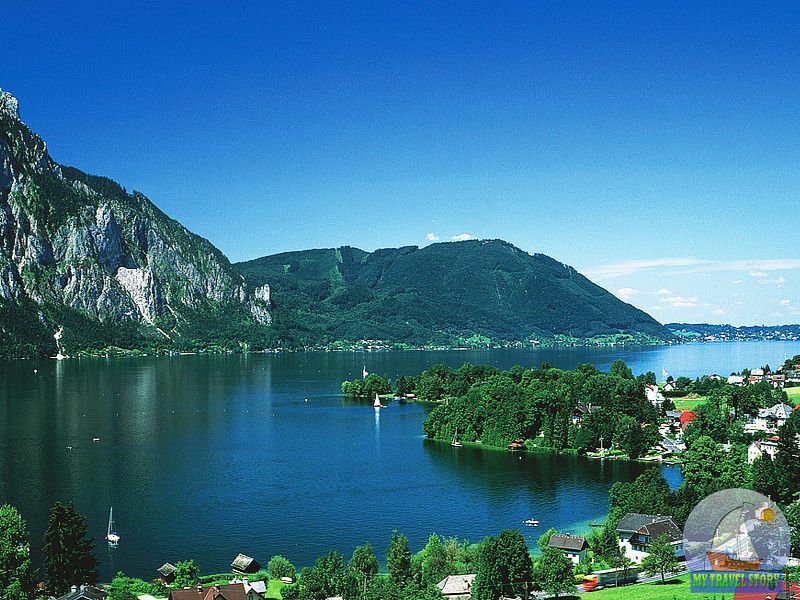 Austria – a country in Central Europe, the capital – Vienna. Population – 8.40 million people, the area – 83,871 km2. Austria is divided into nine federal regions (Burgenland, Carinthia, Lower Austria, Upper Austria, Salzburg, Styria, Tyrol, Vorarlberg, Vienna). It borders with the Czech Republic, Slovakia, Hungary, Slovenia, Italy, Switzerland, Liechtenstein, Switzerland and Germany. Currency – Euro. The main official language – German. Major cities in Austria: Graz, Linz, Salzburg, Innsbruck. 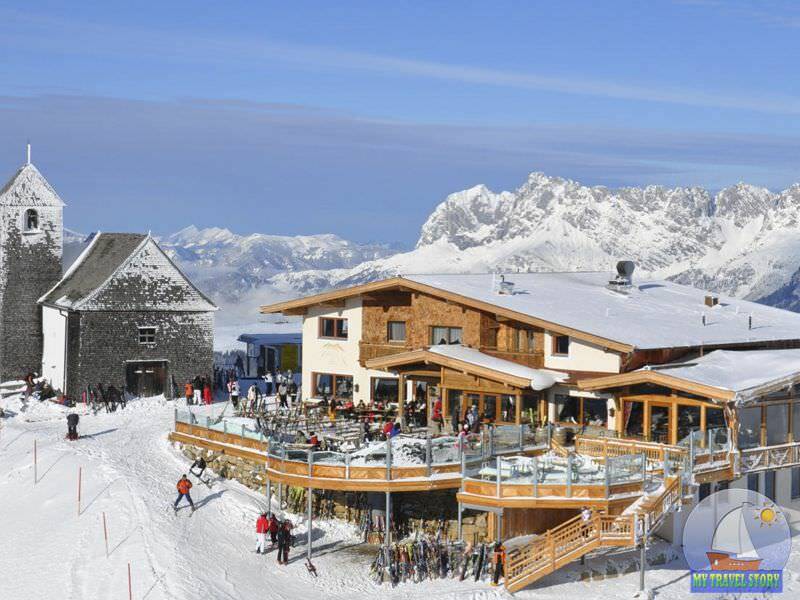 Ski resorts in Austria: Zell am See, Sölden, Saalbach, Ischgl, Kaprun Mayrhofen and many others. Large Austrian river Danube, Moore Inn. Schönbrunn Palace – one of the most important Austrian baroque designs; the summer residence of the Habsburgs. This whole architectural complex consisting of a central palace, wonderful park, zoo, maze and several outbuildings. Today this palace is one of the most famous cultural sites in Vienna and throughout Austria. It was built around the end of the XVII century, although the first mention of this architectural construction related to the XIV century. A zoo, located on the territory of the complex is the oldest in the world. Once there was an estate Kattenburg, which eventually turned into the imperial family Habsburg property. Initially, there was only one house with a garden, a stables and a watermill. 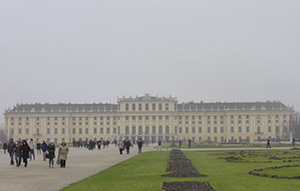 The new palace was built by the Habsburgs by the example of Versailles. For many years the palace was the residence of the Empress Maria Theresa, who turned it into the center of political life. Currently, visitors can view several rooms and halls of the palace. 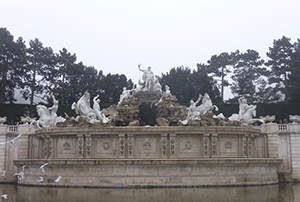 Many are interested in a beautiful park with fountains and numerous sculptures. On the walls of the ceremonial hall of the palace you can see the scenes of historic battles of the past. The Hall of Mirrors once played music WA Mozart. No less interesting is the open pavilion Gloriette in Schönbrunn park. It was built in the XVIII century in honor of the victory over Prussia. The palace complex is visited annually by millions of visitors. Among them there are the guests of the city and inhabitants of the Austrian capital. To get to Schönbrunn Palace in several ways. On the subway line U4 you need to go to the Schönbrunn station. By bus 10A or tram 10, 58. 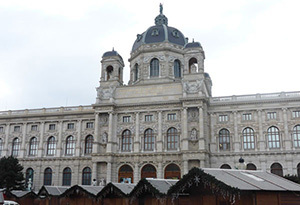 Museum of Fine Arts – the largest art museum in Vienna, capital of Austria, which has global significance. This museum contains rare archaeological exhibits, paintings, ancient monuments and a collection of coins. Next to it there is an identical building – Museum of Natural History. These two buildings are like twin brothers, designed by the same architects to store the imperial regalia. They are designed in the architectural style inherent in the Italian Renaissance. 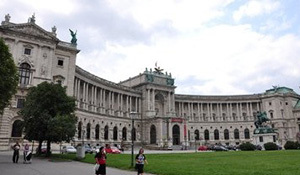 Museum of Fine Arts was opened at the end of the XIX century on the orders of Emperor Franz Joseph I. In the halls of the museum you can see the real masterpieces of Western art, including works by Vermeer, Titian, Raphael and other great artists. There are also collections devoted to the art of the ancient world. 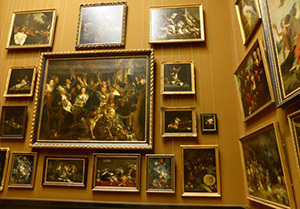 Art Gallery has a global significance and is one of the largest in the field of art. The building is part of the architectural ensemble of the square of Maria Theresa. It is crowned by a huge dome and has a triangular shape. The main building of the museum there are more than 90 rooms. Here kunstkamera of the Habsburgs, which has long been closed to the public. The museum is open daily except Mondays, from 10 am. You can reach it in several ways. If you go by metro, you need to get off at the Volkstheater / Museumsquartier station. If you go by bus or tram, you need to get off at the Dr.-Karl-Renner Ring. Hochosterwitz Castle – one of the most beautiful medieval castles in Austria, situated on the slopes of a cliff in the federal state of Carinthia. On the steep slopes of more than one building, but a whole complex appeared before the visitors from different angles. To get to the central building of the castle should be done the hard way and go through a minimum of 14 gates. This bastion has never participated in military operations, so it is perfectly preserved. Gohostrevitts the first time mentioned in the IX century. Then he was still called Astorvitsa and as part of Carinthia was part of the Slavic principality. For several centuries, the castle was owned by the family Ostervits. However, this genus in the XV century, ceased to exist, leaving no heirs. Then the castle was handed over to the Duke of Carinthia, who in turn gave it to his governor Count Khevenhiiller. It was he who built the famous fourteen gates. Rhode Khevenhiiller still remains the owner of the castle. Hochosterwitz appears to travelers a private terrace leading to the citadel of the castle. The complex, in addition to the central palace, there is also a chapel, two spacious yard and lots of outbuildings. Each gate of the castle have their own history and separate name. In addition to the gate, the entrance to the citadel guarded by five movable bridges. The central castle is an excellent museum, where you can see medieval regalia and armor collection. The castle is open to visitors daily from 9 or 10 am, depending on the season. From the foot of the castle can be reached by elevator paid. Geographically attraction is located 17 km from the town of St. Veit. 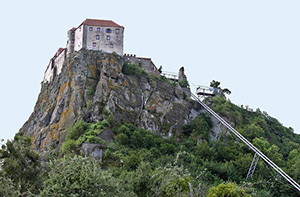 The castle can be reached by bus or taxi. 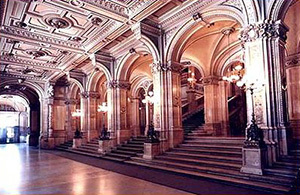 Vienna State Opera – one of the most celebrated musical cultural centers in the world. Opera House is located in the heart of Vienna, capital of Austria, and was built in the middle of XVII century. 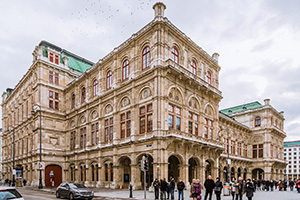 More than 60 musical performances Vienna Opera prepares for its theatrical season, which puts it in first place in the density of operas and ballets. Opera repertoire is extremely varied and includes not only modern genres and musical styles of different eras. The building of the opera appeared not so long ago, but quickly became one of the most elegant buildings of the famous Ringstrasse. The theater season lasts 285 days a year. One of these days dedicated to the annual Vienna ball, when the main scene magically transformed into a ballroom. Hundreds debutants appear before himself president. The artistic director of the theater was the famous Herbert von Karajan, and chief conductor was once Hans Richter. In this scene staged Tchaikovsky’s opera “Queen of Spades”, “Eugene Onegin”, Verdi’s “Othello” and many of Mozart’s operas. Today the world’s best theater directors demonstrate their mastery of the Viennese public. Before the opera house can be reached by subway. Get off at the Karlsplatz station. Hofburg Palace – one of the most beautiful palace complexes in Europe; winter residence of the Habsburgs in Vienna, capital of Austria. To date, some of the rooms of the palace are the official residence of the President. 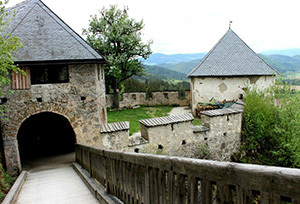 This medieval complex is of particular interest to visitors of Austria. The Palace – 2600 rooms and halls. Already in the second half of the thirteenth century Austrian rulers lived here, and this long before the Habsburgs in power. Castle for seven centuries continuously served the royal residence. If at first the complex was the only Swiss courtyard with Gothic chapel and a treasury, then over time it became more and more space. So there were stables, the majestic gates, wine cellar, Empress Palace, library, court theater, etc. Residential and office premises of the last ruler remained virtually unchanged. In the XIX century, lived in the palace of Emperor Franz Joseph and his wife Elizabeth, which is popularly known as Sissi, and loved. In 2005, the museum was opened in honor of the Bavarian princess. From the outside the Old Palace you can see the famous square with the equestrian statue of Joseph. Almost all parts of the palace today is a museum, each of which tells the story of the palace. For example, in the Treasury stored crown jewels, clothes and heraldry. The palace houses a collection of the Albertina Graphic Arts. The Silver Chamber exhibited unique utensils belonging to the Habsburg dynasty. Geographically, the Hofburg is located in the heart of Vienna. You can reach it by metro to Stephansplatz station or bus 2A, 3A to stop Hofburg. 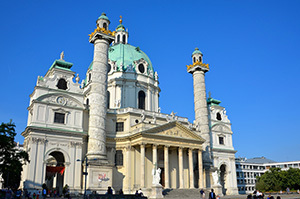 The church Karlskirche – a huge Baroque church, located on the Karlsplatz in Vienna, capital of Austria. It is sometimes called the Cathedral of St. Charles. 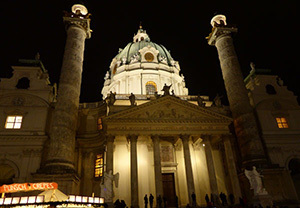 Karlskirche with its majestic dome and two tall pillars at the sides is considered one of the finest examples of Viennese baroque. The complex of the Cathedral includes the adjacent pavilions. The church was built at the insistence of Charles VI at the beginning of the XVIII century in honor of Carlo Borromeo – eminent Cardinal and Catholic saint. Building was dedicated to the victory over the terrible epidemic of plague. The church is located on the city area of ​​Vienna, near the ring street. It is open daily from 9 am. The nearest metro station – Karlsplatz. This building is considered a hallmark of the city, so the area is always crowded. Besides building Karlskirche is surrounded by several interesting sculptures. The facade of the church is decorated with magnificent sculptures. Among them you can see the angels and of St. Charles. Carefully looked closer to the exterior, it can be seen that in this building are mixed elements of different eras and styles. 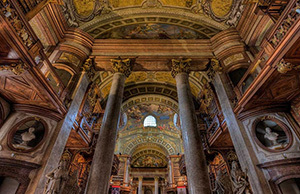 Inside the church is decorated with magnificent frescoes and paintings by famous masters. On the main altar depicts St. Charles, ascended to heaven. In one of the rooms Karlskirche located a small museum. Sometimes in the Church themed concerts and you can listen to the music of the great Mozart. Under the dome facilities have an excellent viewing platform, which can be reached by elevator. Ambras – Castle in Austria, in the south-eastern outskirts of Innsbruck. This castle was once the symbol of Tyrol’s glory and power. In the XII century there lived earl Andechs. The modern building was built in 1563-1595 by order of Archduke Ferdinand II. Archduke secretly married to the beautiful Philippines Welser and was going to have a family life in the castle. The castle consists of a lower castle with entrance gate and spacious courtyard, and the top of the palace, which was built on the site of an older building. 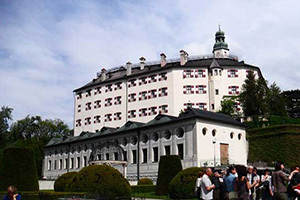 Both parts of the castle are connected by the Spanish Hall, built by Giovanni Lucheze in 1571, the original coffered ceiling, wall murals depicting the Tyrolean princes in full growth and mosaic doors. Archduke Ferdinand II in Ambras founded his own museum. Exhibits distributed shortly in Vienna’s museums. Preserved armory, curiosities and a gallery of portraits of members of the House of Habsburg – brush-known artists, including Lucas Cranach, Peter Paul Rubens and Diego Velazquez. Ambras Castle is the main attraction of the city of Innsbruck, and is very popular among tourists. Krimml waterfalls – the famous waterfalls in the west of the Salzburger Land, Austria. They are located in a nature reserve Hohe Tauern on the border with Tyrol ground. These waterfalls are among the most visited tourist attractions in Austria. Driving directions can be in Krimml Salzburg as bus and by train. However, it should be remembered that the last transport sent back at 18.00. On the road you will need to change trains in Zell am See, where the small historic train goes to the waterfalls. The road will take about 3.5 hours. 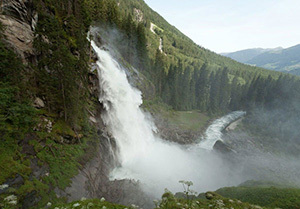 Krimml waterfalls attracts hundreds of thousands of tourists annually. It’s no wonder he has been ranked highest in Europe and fifth in the world. His swings reach 380 meters, and hiking ascent to their summits takes more than one hour. Because of an overabundance of moisture is a picturesque place has a special microclimate. Around the waterfall, you can see the water clouds, which sometimes peeps through the rainbow. One Alpine Club has created here a noble path for the convenience of tourists. 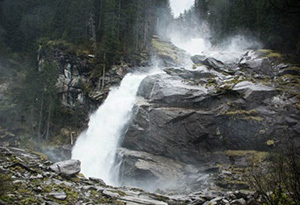 Now Krimml waterfalls can be considered close in all its glory. Walking along this footpath, you can fully enjoy the refreshing spray of water and a powerful force of water cascade. Along the way, it is an observation deck. Hikers can climb from the very top to the glacier Klimmler Kees. In winter, the frozen waterfalls, as well as the path along it. In this weather without special equipment, in particular without the alpenstock, climb to the top will be difficult. Riegersburg Castle – a medieval castle in the federal state of Styria; the biggest castle, not only in Austria but also in Central Europe. 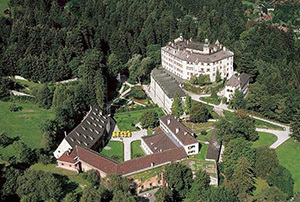 This complex is in the Baroque style is located in 50 km from Graz on a high cliff. Below that is a village with a population of 2,500 people. Distance from the castle Riegersburg to Vienna – about 175 km. From Graz to Riegersburg can be reached by train, before reaching Feldbach station and then replanting in the 406-th bus, right next to the destination. The castle is open to visitors from April to October from 10 am. On Sundays and Mondays, it conducted free tours for children in German. In Rigesburge lot of interesting things. It’s not just the greatest Austrian castle in Baroque style, but the whole medieval treasure trove. 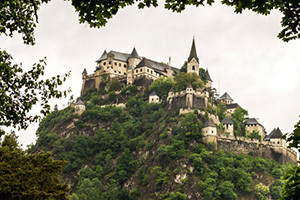 The history of the castle dates back to the XII century, though many historians argue that the mountain refuge at the site Riegersburg existed much earlier. The castle was rebuilt several times by its owners. 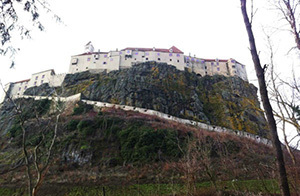 Since the XIX century, the picturesque citadel became the property of Liechtenstein dynasty. During its long history the castle has accumulated a lot of jewels, antiques and collectible objects. All of this can be seen in museums today Riegersburg. One of the most interesting and mysterious rooms in the castle is the “Witch Museum”, which stores the history from the time of the terrible Inquisition. Throughout its history, the Riegersburg has never been captured by the enemy, although attempts by the Turkish and Hungarian invaders undertaken many. Access to the castle guarded by seven gates and many bastions. Since 2003, for the convenience of tourists has earned a high-speed elevator, which delivers up to the cliff top just a couple of minutes. On the first floor is a gift shop, and in the castle there is the original tavern. 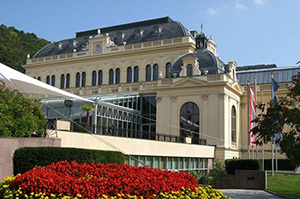 Casino Baden – the main casino in the Austrian network of institutions; a popular holiday destination in the spa resort of Baden, Austria. Casino is located in a very beautiful old building, which previously housed the first thermal spa source, open by the Romans. In architectural terms it is one of the most beautiful structures of Baden. The city is located about 26 km from Vienna and has long been considered a fashionable holiday destination. However, it is difficult to imagine a resort of this magnitude without the places where it would be possible to meet the animal excitement. For these purposes and was opened Grand Casino. Casino “Baden” is situated in a very picturesque corner. Around the building you can see the park with a rose garden and numerous flower beds. Powered institution is not around the clock, but provides all the necessary conditions for a particularly zealous players. For example, free cars, drinks on the house, restaurants of different price policy, the opportunity to spend the night at the hotel, etc. No wonder it is considered the largest casino in Central Europe. 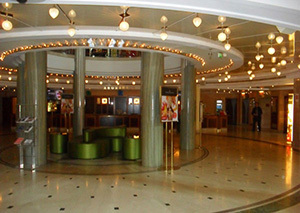 The “Baden” more than 200 slot machines and can fit about 1,000 visitors. Especially pleasant atmosphere awaits guests in the lobby in a cozy lounge area. The casino is open daily from 15.00 until 3 am. On Christmas Eve, the institution does not work. Before Baden can be reached by bus or commuter train from Vienna. The journey takes around 1 hour. Sights of Austria - Schönbrunn Palace, Museum of Art History, Hochosterwitz Castle, Vienna State Opera, Hofburg Palace, The church Karlskirche, Ambras Castle, Krimml waterfalls, Riegersburg castle, Casino Baden.